The Unmanned Resilience (UR) workshop and apprenticeship will be devoted to the art of sensing, remote sensing and understanding of the specific natural and social environment of a mixed agricultural and protected natural environment that is situated in the western part of Slovenia in the vicinity of major urban centers (Ljubljana 50km, Trieste 50km). Testing of the SINUNI (Land and climate recording device) sensor network and node devices for gathering environmental, socio-cultural, oral history and econometric data. There are 8 open slots in for the workshops and apprenticeships. There are three work phases. Wild Food Hike from Gora Plateau across Trnovski gozd Woods to Upper Idrija River Wilderness and Back (But Not Straight) Again. So, where do we come from and where are we headed to? As long as we do not care where we are, we cannot really be lost. But other dangers await us: What? When? How? Where? A four day hike though the woods, over the mountain (or at least hill-) tops, through semi-civilised but also quite wild landscape, passing some really friendly homesteads, staying in deep forest darkness, waking up straight into the sun, doing this, doing that … (not much, really). But basically just trying to link our own selves to what we already know but pretend we forgot it. **When? ** August 17th to August 20th, 2012. **How much? ** About 8 hours walking time a day. **How many? ** Up to 8 participants. **Where will we eat? ** Along the way. **What will we eat? ** That's the question. **Will we be hungry? ** No. Or maybe yes. **Will we be thirsty? ** Very likely so. **What to bring with? ** Mattress, sleeping bag, raincoat, reliable hiking shoes, suitable clothes (mid-August might be a bit refreshing in these woods in the early morning hours), knife, spoon, small bowl. **The aim** Who knows? We'll get to know it. Probably the most important aim is to cultivate the hunger, which leads us here and there, everywhere. To wide open spaces and beyond. Please do not forget creative hunger, but please do leave appetite behind. Sorry, this is no survival camp. We'll take advantages of both worlds, the wild one and not so wild one. But we will definitely be moving through wilderness and will collect quite a few wild edibles, from plant and fungi kingdoms predominantly. Just as a matter of fact we'll be facing, at least theoretically, a vast expanse of over 3000 wild plants and about the same number of fungi, which grow just by themselves, all wild, here in Slovenia. That means, we'll collect at least 3 plant species and probably not more than the same number of fungi and will devour them all, bones and skins included. During these days, we will have a radio and phone link to the wider world, we will be bumping into local biological and less farmers and talking to them and getting some food from them, we will be probably meeting hunters and hikers and we will even take a bath or two in the rivers nearby . The organizers will take care of first aid and vehicular assistance when needed. We will never be far from civilization at all, but it will many times feel so. We will document everything we will eat, do gigapixel resolution imagery of the areas where we will s<span style=“text-decoration: underline;”>top, forage and eat, record our paths, record our stories and the stories of the people we will meet and display everything by using an online open source mapping environment developed by our colleagues in Slovenia called GEOPEDIA. Some of the places we will see during the expedition. 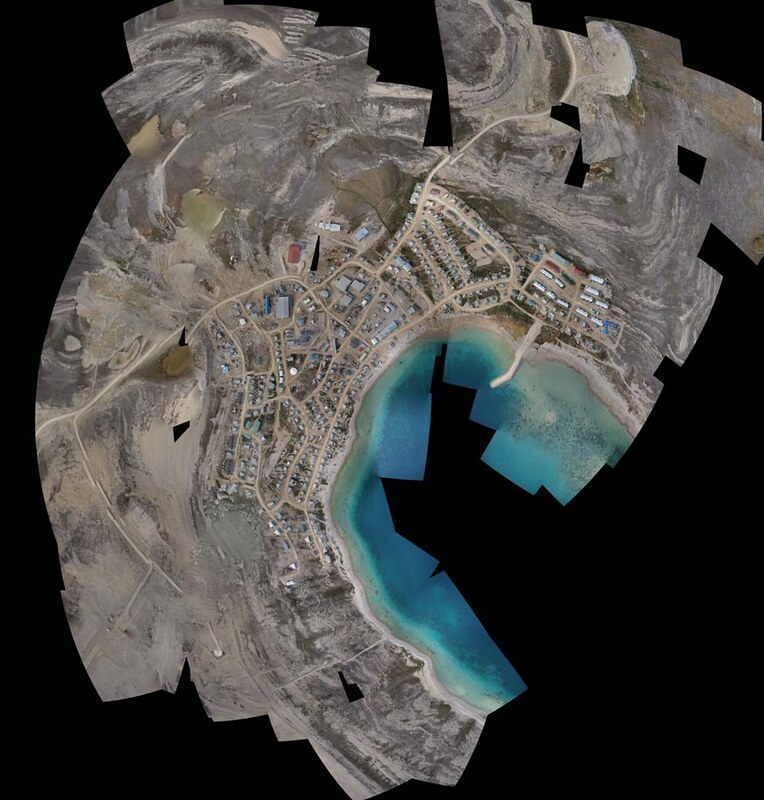 Once every day, we will request aerial imagery of a specific area to be taken by the Unmanned team of C-ASTRAL and we will receive an imaging product the next morning via wireless data links. The expedition will at the end bring us to the “main” base on the mountain top of Sinji Vrh (the Azure top). On the 20th we will have our first large data collection and organization workshop and will prepare for the next few days of unmanned aircraft systems remote sensing operations throughout the plateau. All of the data in the field will be recorded using the SINUNI mobile nodes. SINUNI is a project that started as part of the Arctic Perspective Initiative. The Arctic Perspective Initiative (API) is a non-profit, international group of individuals and organizations whose goal is to promote the creation of open authoring, communications and dissemination infrastructures for the circumpolar region. Its establishment is the direct result of the work of the IPY project 417. The aim of API is to work with, learn from, and empower the North and Arctic Peoples through open source technologies and applied education and training. By creating access to these technologies while promoting the creation of shared communications and data networks without costly overheads, continued and sustainable development of autonomous culture, traditional knowledge, science, technology and education opportunities for peoples in the North and Arctic regions is enabled. In 2010 and 2011 API developed and for the first time experimentally deployed a robust open hardware sensor network and communication system, the ᐅᓂᓗᖑᒪᓂᓗᒥ ᓴᒥᓴᖑᒪᒥᓗᒥ ᓴᓂᔨᓂᓗᓂᒥᑭᒥᑎᓂ (SILAMILU NUNAMULU NIPILIURUTI) or SINUNI. The SINUNI is an extremely low power, compact, modular and waterproof portable computing and recording family of devices, currently based on the Arduino architectures implementing a true mesh networking capability through low power radio and precise geo-location. It's modular sensor architecture records basic meteorological, position and movement data, but it can be outfitted with an array of sensors as diverse as water turbidity, temperature, salinity and p.e. light quality and structure measurements. The open standards used in the software and hardware development ensure that the system can be built, modified and. The units also enable geo-located audio recording and wildlife observations and note taking through a simple, robust and intuitive interface. During the fieldwork in the Foxe Basin and the Fury and Hecla straits in the Arctic (January and August 2011) large amount of environmental, wildlife observation and traditional place-names and trail data was collected. The system enables instant review of the collection in the field, but more importantly, its mesh architecture enables a seamless transfer of data and network bridging between the different units without any specific inputs from the users, leaving them free to concentrate on the work on the Land. The geo-locative approach to all data and sound recording gathering facilitates the creation of quick reference maps with audio annotations and the entry of the data in GIS systems. In the framework of UR, the SINUNI will be used to collect environmental data, record interviews and discussions and geolocated data. This data will be then displayed, for the purpose of UR, using the GEOPDIA platform. The second phase of the UR is geared towards the collection of remote sensing data using state of the art unmanned systems under the guidance of the C-ASTRAL AEROSPACE team. Each day will start very early, with a meeting defining a daily tasking order, choosing of sensors and planning. Flying operations will happen from around 10.30 am to 2pm, the afternoon and evening will be devoted to the evaluation of the gathered data, lectures and the uploading of the imagery to the online platform . 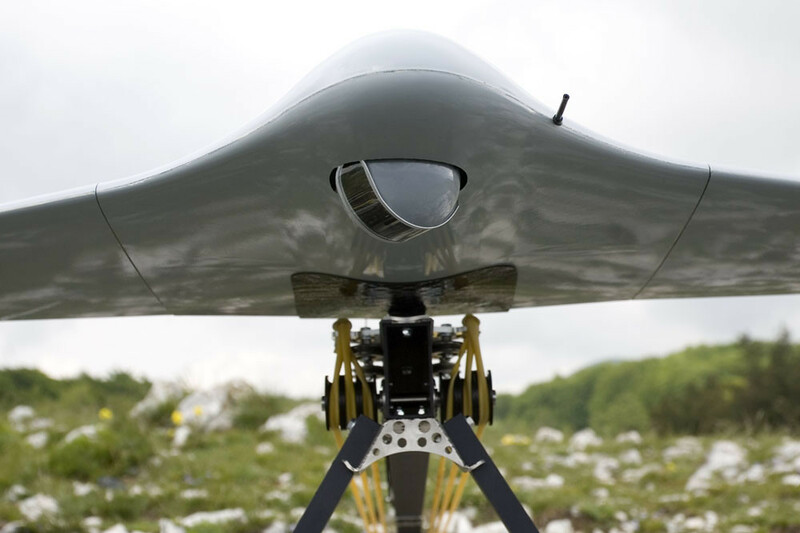 The C-ASTRAL UAS family consists of two lines, the BRAMOR gEO line and the EO line. The BRAMOR gEO flight path precision and software capabilities are extremely high, and 1 centimetre level ground sampling distance (GSD) products are achievable with the system. Infrared and multispectral sensors in different wavelengths are an option and can be supplied and integrated in the system. Flight into KNOWN ICING CONDITIONS (IFR) IS NOT PERMITTED. Rugged all wather transporation cases for all systems components. Different software packages will be used to work on the remote sensing data and the apprentices will learn the basics of the processing and orthorectification, data annotation, together with the basics of preparing the data for online publication on different platforms. During phase II, The flights will be conducted by the C-ASTRAL team and apprentices will be assisting and learning in the field. Phase III will be devoted to apprentices actual hands on training. 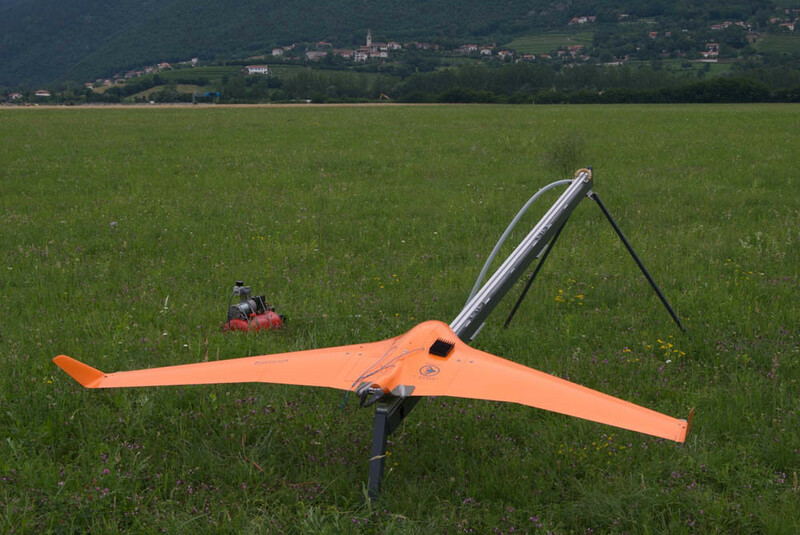 From August 23 to August 26 the apprentices will be learning the basics of flight and remote sensing, they will go through the thorough training for the BRAMOR UAS systems, which will include a day and a half of classroom theory, solo flights and half a day of learning how to safely fold a parachute. The last two days will be devoted to working sessions that will place and annotate all Unmanned Resilience data on the web platform and to the creation of the project final website. The Unmanned Resilience “base” will be on the Sinji Vrh tourist farm, which has one of the best locations for all kinds of environmental and radio work in that part of Europe. Besides the remote sensing operations, Projekt Atol experts and the resident artist, Matthew Biederman aka DelRay will set up radio and satellite listening workstations and small ad-hoc side tactical media workshops will take place throughout the week of August 20. It is highly advisable that all participants bring hiking equipment and a backpack with basic hiking gear and clothing, sun screen, and personal hygiene items and of course your gadgets and computers. It is also advisable that all participants carry travel insurance. Please advise Uros of special dietary concerns and allergies.